Biocatalysis is a process which makes use of natural substances such as enzymes or cells to increase the rate of a chemical reaction. An enzyme is simply a protein catalyst which catalyzes every reaction in a living thing. Enzymes are used to catalyze biologically related reactions as well as used to replace chemical catalysts that are toxic or contain residues responsible for environmental pollution. The most obvious uses of enzymes are in the beverage industries where the production of wine, beer, cheese etc. is dependent on the effects of the microorganisms. 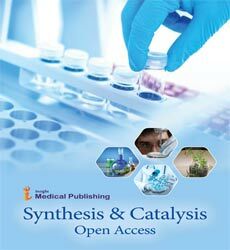 The future impact of biocatalysis is the increasing ability to use enzymes to catalyze chemical reactions in industrial processes, including the production of drug substances, flavors, fragrances, electronic chemicals, polymers. It is a greener, cost-effective and pollution free technology.